Baby Carrot Salad Recipe best appetizer to be served for living a healthy life. Adding lemon juice, and another name to add ‘Vitamin C’. So apart from its color and taste, it is loaded with tons of vitamins and minerals. I was really burst with laughter, when my son said he wish to be a bunny when he crossed the Vegetable Isle in our nearby stores, pointing towards the tons of baby carrots. We were so much addicted to baby carrot’s juiciness, crunchiness, to its color. The store employees too, are very intelligent to keep this vibrant colored baby carrots, next to green leafy lettuce, makes it’s more attractive. No one can resist themselves from picking these baby carrots from the store shelves. Searching for other easy carrot recipes? check Kerala Carrot Pachadi or Carrot Pasta Recipe. My son wishes to munch baby carrots with mayo, that is also an awesome choice. But for a healthy twist, I have added lemon juice, an another name for ‘Vitamin C’. So apart from its color and taste, it is loaded with tons of vitamins and minerals. Studies show that munching on the crunchy salads keeps out body fat low. Just replace your store-bought junkie food with this super refreshing salad for a healthier life. I love to have this salad along with Paneer Sandwich. 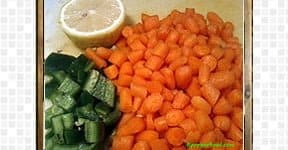 Chop baby carrots into bite sized small cubes, dice jalapeno. Deseed jalapeno, if you want it less spicy. 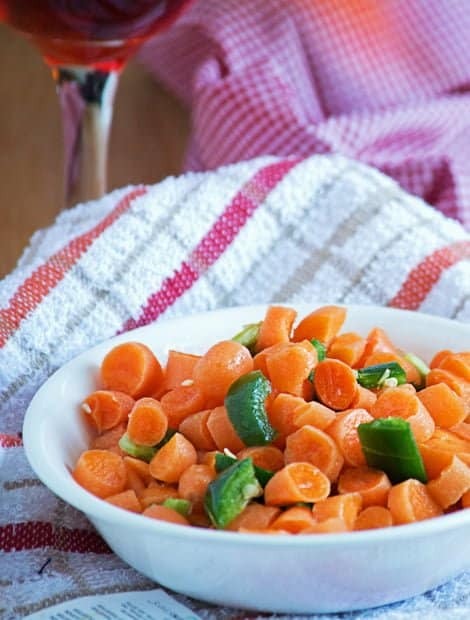 In a bowl add chopped baby carrots, jalapeno and lemon juice with salt. Give it a gentle mix. 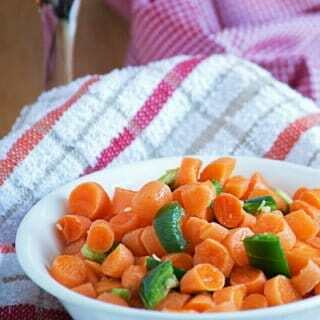 And serve Baby Carrot Salad as an appetizer or with bread of your choice. 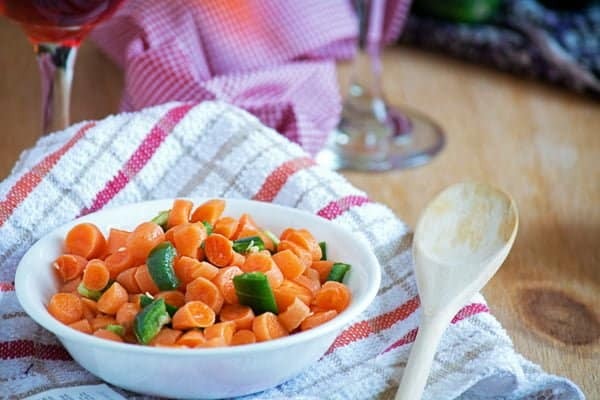 Baby Carrot Salad Recipe best appetizer to be served for living a healthy life. Adding lemon juice, and another name to add 'Vitamin C'. So apart from its color and taste, it is loaded with tons of vitamins and minerals. Chop baby carrots into bite sized small cubes, dice jalapeno. Deseed jalapeno, for lesser spiciness. Serve as a healthy snack/appetizer. Add sweet corn kernels or other vegetables of your choice. Substitute lemon juice with vinegar, if you wish.